Welcome to learning to make friends when dealing with depression. It is important for those with depression to have friends. When your moods are dramatic it is often tough to obtain friends. We know that facing struggles from depression often lead to problems with friends. The good news is you are not alone in your struggles. We’ve found many terrific individuals struggle to find friends as adults. If you have depression you might have struggled with the confidence to put yourself around new people. When you are young many of us attend school with a group of people. It is common to find some friends since we are with others each day. As an adult with depression you often are alone or isolated. Our company works to help those with depression. We provide coaching and mentoring. Our goal is to help build your confidence, encourage you to set goals, obtain them and make positive change. We’re also the friend that is always willing to listen, never judge and be there for you at all times. Our founder lives with bipolar and depression and it took many years to rebuild his life. It took a great amount of energy to stop the isolation mental illness can cause. He has written the bestselling book Beating Bipolar, The Depression Diet, Depression, Bipolar and Heroin and educated at many organizations. He created bipolaronline.com to help others with these issues. We do this by partnering you with a coach who is persistent and determined to help you. We offer our coaching through telephone, video chat, email and text messaging. 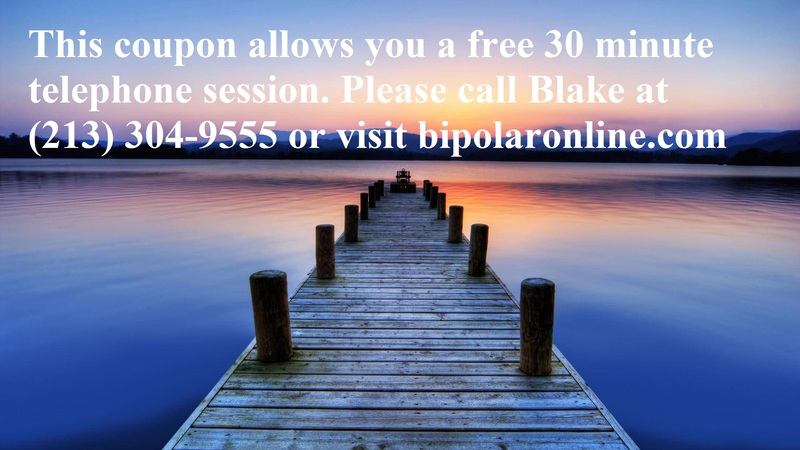 As our way of helping we offer one free thirty minute phone coaching session. You may use this at anytime or offer it to someone else who would benefit. There is a cost if you want to work with us each week. We’ve found our coaching is very motivating and encouraging. We’re also patient and trained to understand what you are feeling. Sometimes friends or family are not willing to listen each day and give you an unbiased opinion. You may call Blake LeVine at (213) 304-9555. Please know even if you have depression it does not mean you do not deserve friends. It was shocking to Blake how many wonderful people he met who faced isolated and alone. Our goal is to help you build the strength to find new friends, set goals and achieve your potential. We look forward to being the coach that works to help you.